Got a look at a fairly nice aurora from Maynooth this evening. This was by no means a massively spectacular aurora like the ones you see in books but it was still very nice. 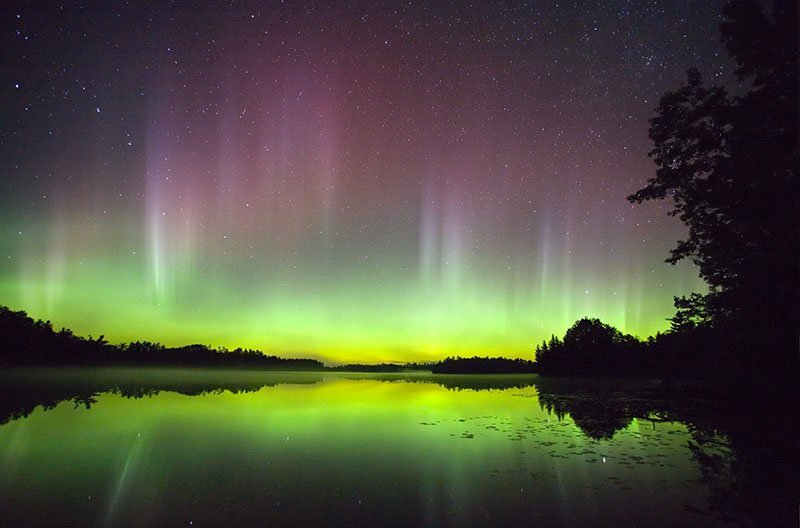 There was a red glow on the north west horizon and white auroral bands over head and in the northern sky. It was also a fairly stable aurora which is less awe-inspiring to watch than more dynamic aurorae.